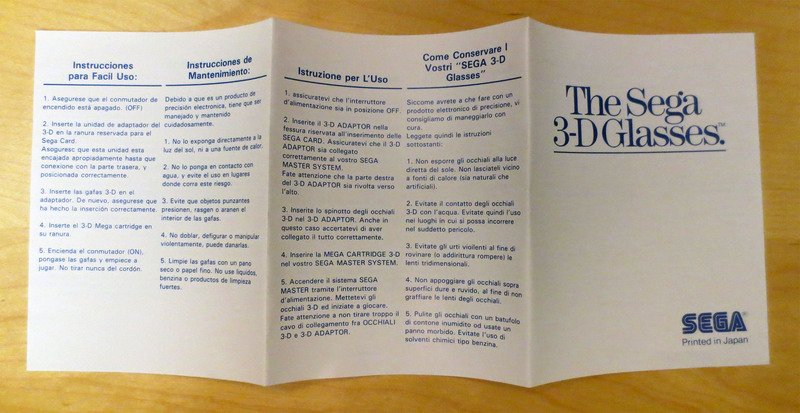 For a very long time I’ve mostly ignored Sega’s CD add-on for the Sega Genesis. 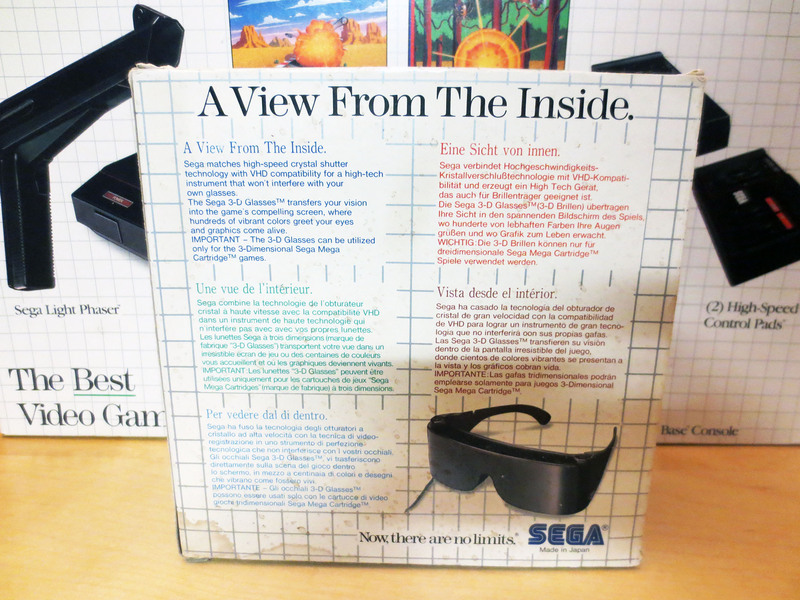 Known as the Sega CD in North America and the Mega CD for the rest of the world. 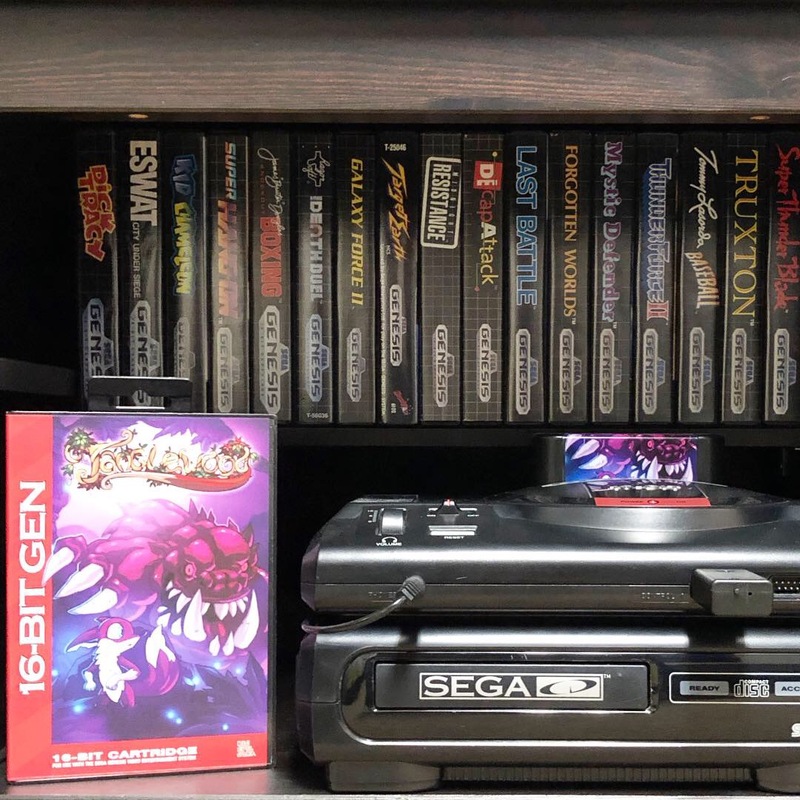 Back in the day it came out when my interest in my Genesis was fading (shame on me) and for decades beyond when I got into collecting I put most of my attention on just cartridge games for the Sega Genesis and Sega Master System. 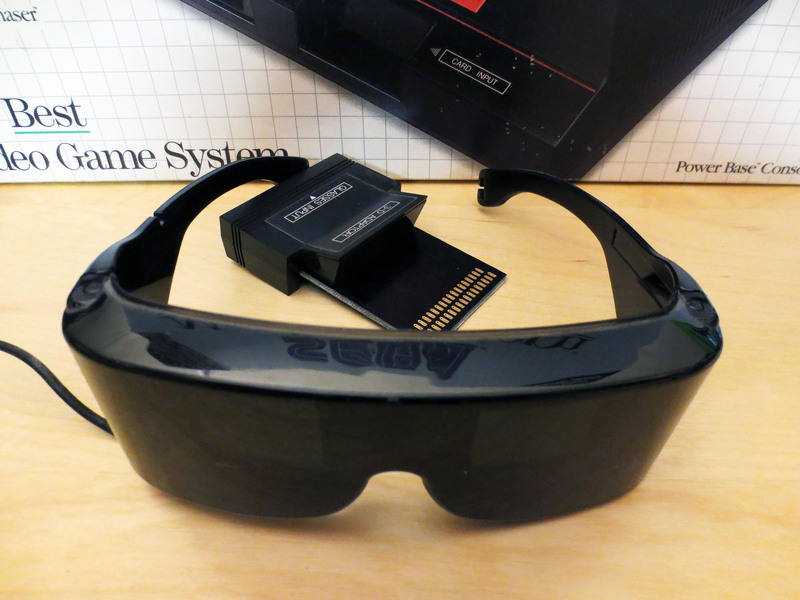 Then in the past year after diving in and getting a chance to try out some really great Sega CD games (Snatcher, Dark Wizard, Popful Mail and Lunar) this add-on hardware that was, in its day, tainted by terrible ‘Full Motion Video (FMV) Games‘ has since won me over. So much so, that I took some time to take a really pretty picture of it. 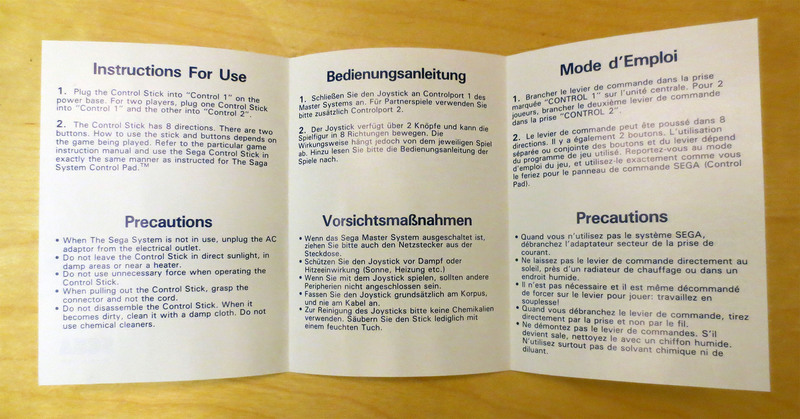 I’m going to start by saying the Model 2 Sega CD is just fine. Sure, optical drives are prone to wear out but that being said Sega made a pretty good piece of kit. 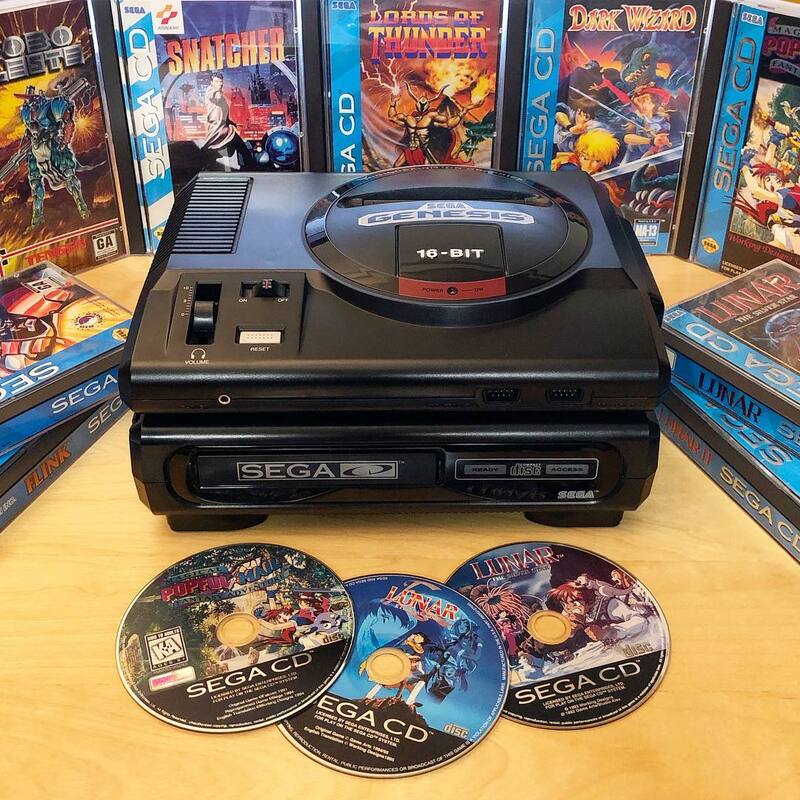 I’ve read that the model 1 Sega CD is actually more prone to failure and is harder to find as it had a shorter production run before being replaced by the model 2. But there is something about the look of the Model 1 Sega CD that I really like. Stacked with a Model 1 Sega Genesis it some how pulls off looking part retro and modern; and combines to make something very unique and just plain awesome. What I don’t love about the Model 1 Sega CD is that it typically costs about double the Model 2. So if the Model 2 Sega CD’s cost about $100 then we’re looking at about $200 for a Model 1 Sega CD. 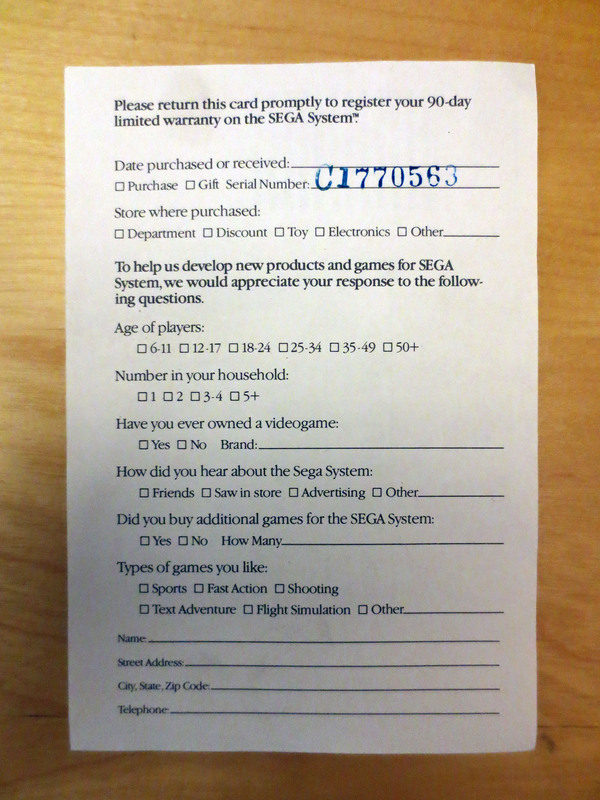 What did I pay for my very pretty Model 1 Sega CD? It cost me $240 CAD (~$180 USD). But wait! Just hold on… I can explain. I first saw this exact unit at one of my favorite local retro game shops (Retro Game Bros.) about 6-10 months ago when it’s sticker price was $350 CAD (~$260 USD). It had this steep price tag because it had been fully refurbished. It had the motor and laser replaced in addition to a full capacitors replacement. 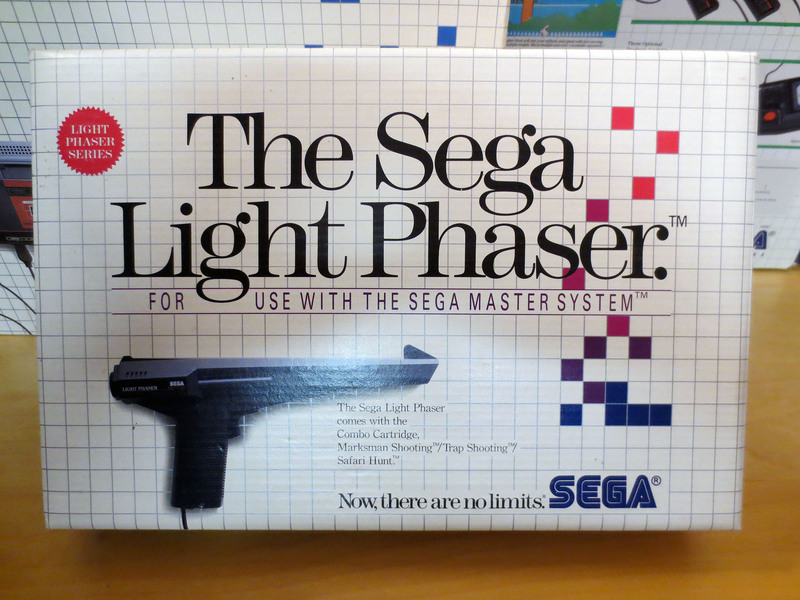 In fact, I’m told that the laser is a NOS Sega CD laser. 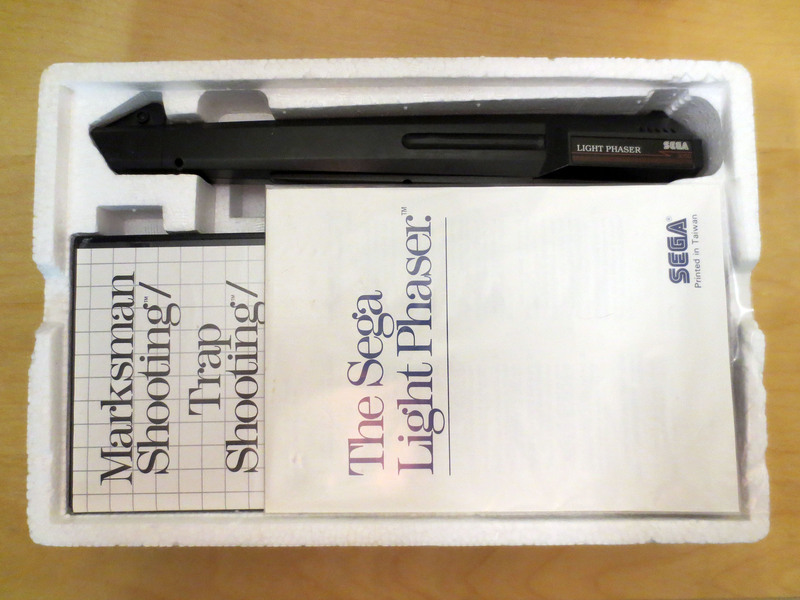 The exact model originally used for the Model 1 Sega CD. I don’t know if that really matters but if nothing else it is cool and note worthy. 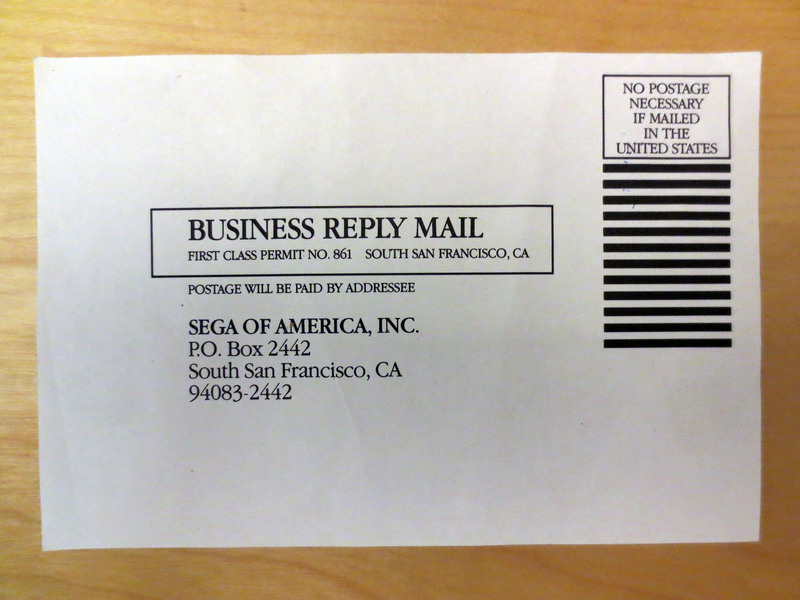 It’s my hope that this translates into a Sega CD unit that is going to have a very healthy and long life span. And that is easily worth the $40 premium. I was able to get it for $240 discounted from $350 because of a wildly amazing Black Friday day sale put on by the glorious Retro Game Bros. Thank you guys! And the steep discounts didn’t stop there. Oh, no… they did not. There was another item at Retro Game Bros. that I had previously passed up and as fate would have it I found myself staring at it again this past Black Friday. 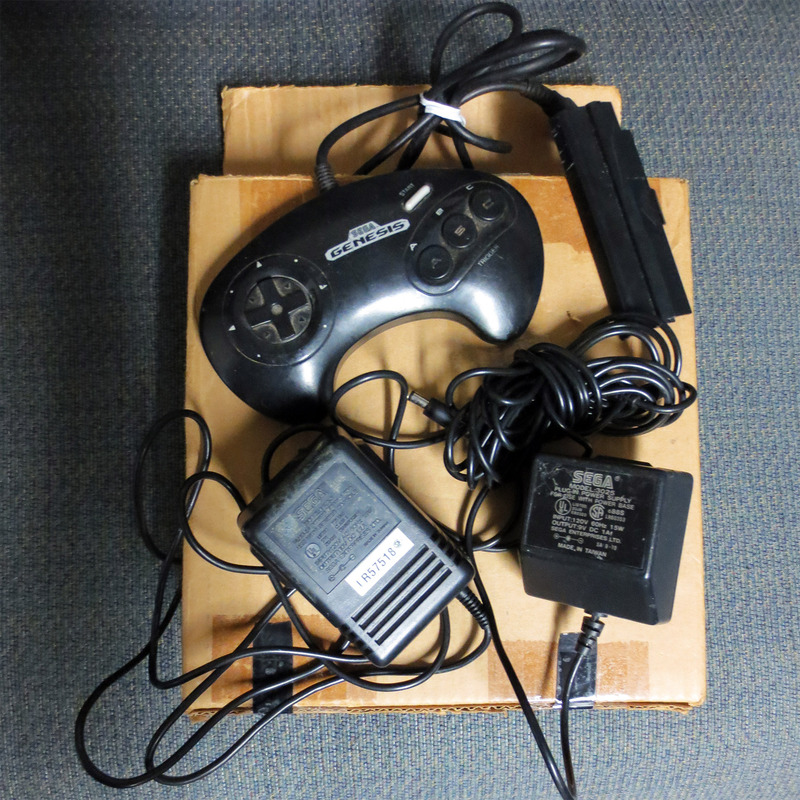 For $140 CAD they had a good condition Model 2 Sega CD box. Complete with packing and papers, everything except the hardware. I didn’t really want it at $140 but I asked about the sale price and they told me it would be $120 but before I could even blink they offered it up for $100 CAD (~$75). This is what I call a feel good price. Thanks guys! Now my model 2 Sega CD will get packed away in a good condition Sega CD box while my new Model 1 Sega CD becomes the newest show piece for the man-cave. It still needs the Sewer Shark game disc (which wont be hard to find) but otherwise it’s complete. Here’s a another photo of my New Sega CD along with one of my more recent favorite Sega Genesis games, Tanglewood. I also bought a very nice Alien Crush for the TurboGrafx-16 from Retro Game Bros. that I already owned and it should have been Devil’s Crush that I bought… but I don’t want to talk about that blunder any longer. Kijiji will fix it. 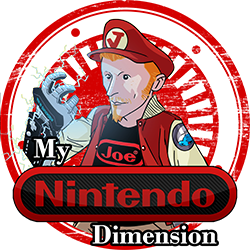 Don’t forget to head over to see Nintendo Joe at My Nintendo Dimension for his Black Friday Retro Game Bros. scores. 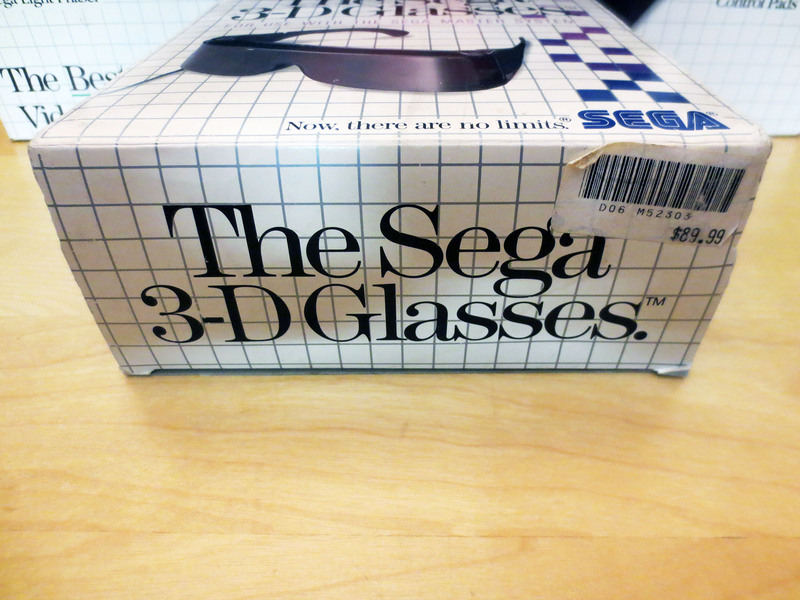 This is my new SegaScope 3-D System. 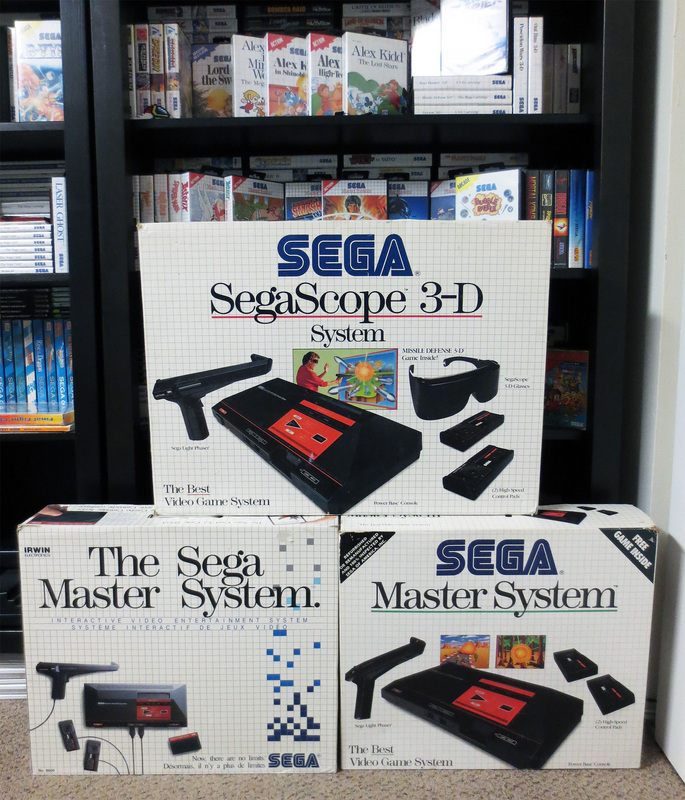 It’s one of three different Sega Master System bundles that I remember seeing in Canada back when the system was new. 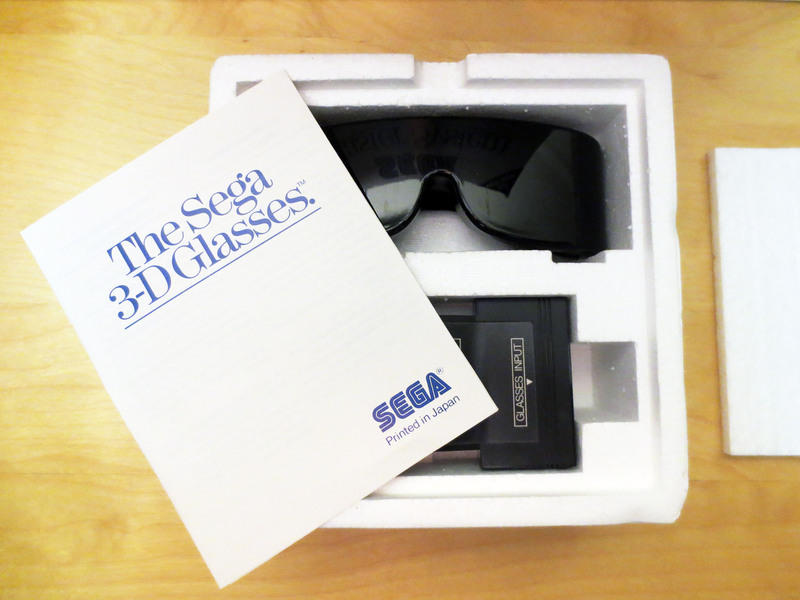 It was the least common and carried the highest price tag because it includes Sega’s very cool (but under used) 3D Glasses. 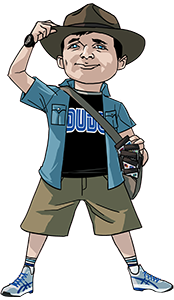 There is another variant of this bundle showing a young Dude wearing a yellow sweat shirt and includes Missile Defense 3-D on cartridge compared to this variant with the Dude wearing a red shirt which has Missile Defense built into the console (BIOS v4.4). 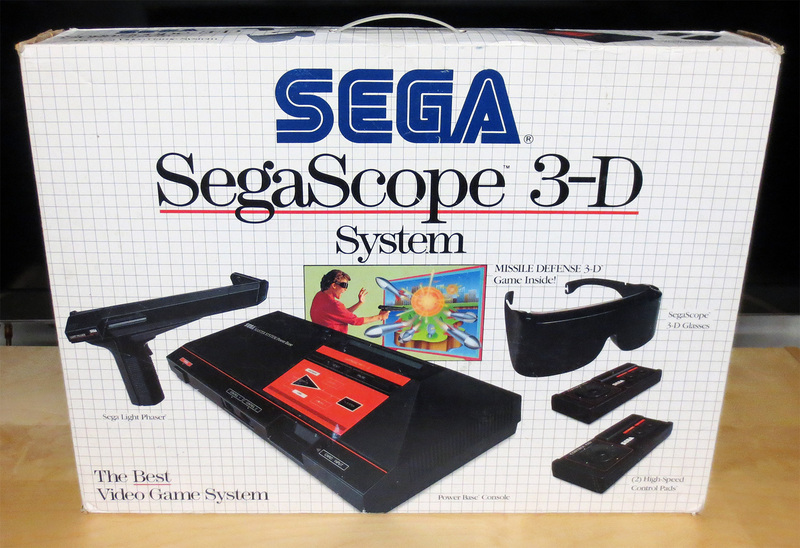 The only time I’ve ever seen any SegaSCope 3-D bundle in person (since the 80’s) is on display at retro video game shops. And often on those few encounters the box was roughed up and/or empty. So I was surprised when I found it locally but not surprised by the high asking price. Sure, it’s super cool and hard to find but it’s not worth $500 CAD (~$380 USD). It was also a 1.5 hours drive away so I wasn’t incredibly motivated. I sent an offer of $300 CAD but the seller didn’t want to let it go. And that was the end of it for a while. I actually wanted to offer $200 but if the seller was willing I’m sure it would have sold very quickly at that price. I felt an additional $100 was needed in order to stand any kind of a chance. After several weeks I made my offer again and the seller wanted to meet me at $400. But for me personally even $300 (~$227 USD) felt like a lot of money so I stuck to my price and eventually he agreed. The next challenge was dealing with three hours of driving to get it. But when I took a closer look at the sellers location I realized that a very close friend lives in the area. I called him and he was willing to drop everything and head over to meet up and make the exchange. He even spotted me the $300. That’s a sign of an exceptionally good friend. 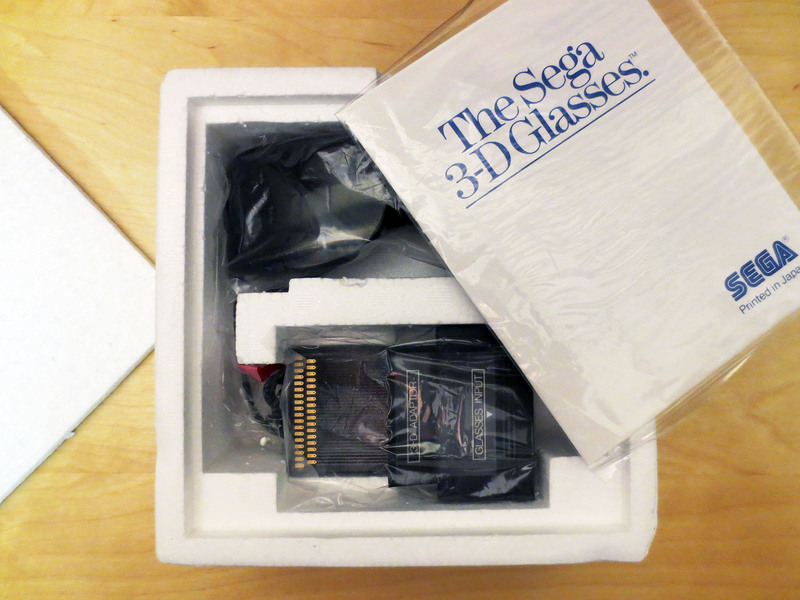 Next time we got together I received my pricey but very cool SegaScope 3-D System bundle. It’s almost complete. With the exception of the power supply everything appears to be included. 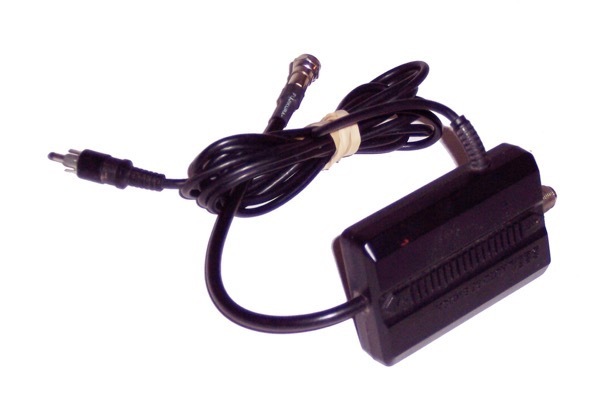 Not visible and sitting behind the 3-D Glasses adapter are the coaxial and VHF adapters. All of the hardware is in excellent shape and is in perfect working order. 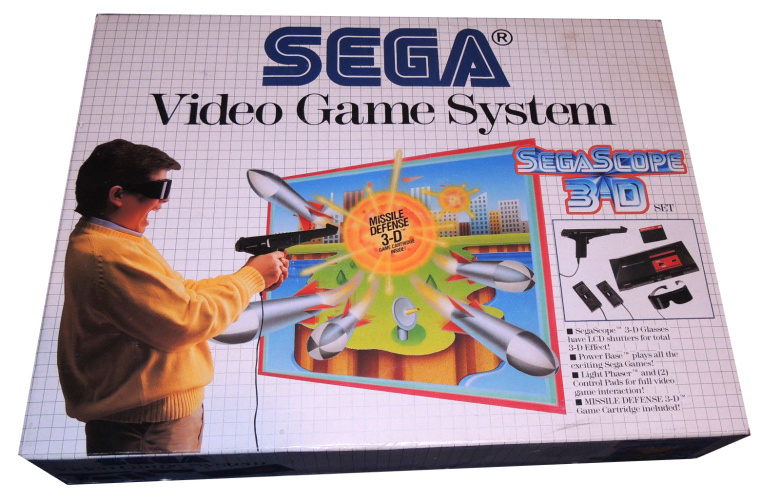 I don’t know for certain what originally came with the system but there is a manual for each component and for the built in Missile Defense 3-D game. The Styrofoam is not in perfect shape but it’s whole enough and I believe a Styrofoam cover is missing. 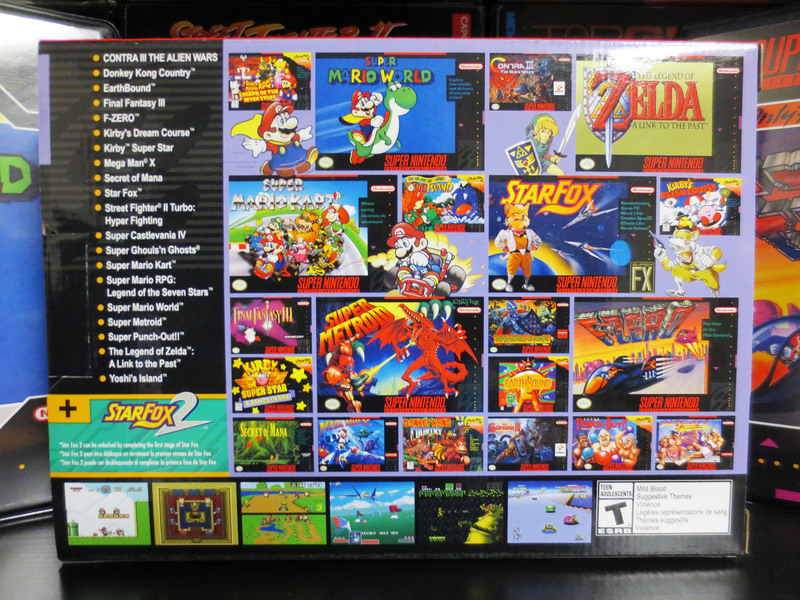 The back and the sides of the box have the worst of the damage. There is a cluster of puncher marks on the back near the top and the flaps on the sides are well used and torn in places. 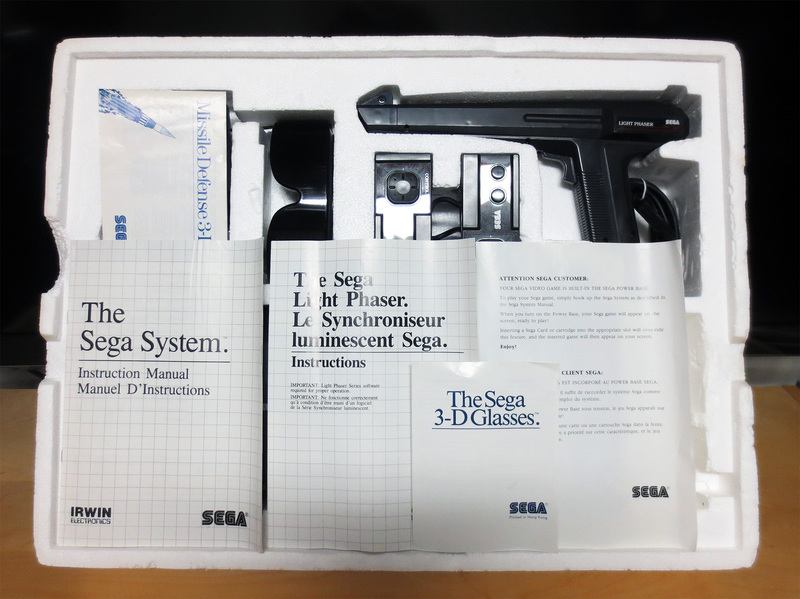 However, it displays very well and it’s really the best condition SegaScope 3-D System that I’ve ever seen in person so I’m pleased that it’s mine. I will admit that I still feel a little conflicted on how much I spent on this sucker. 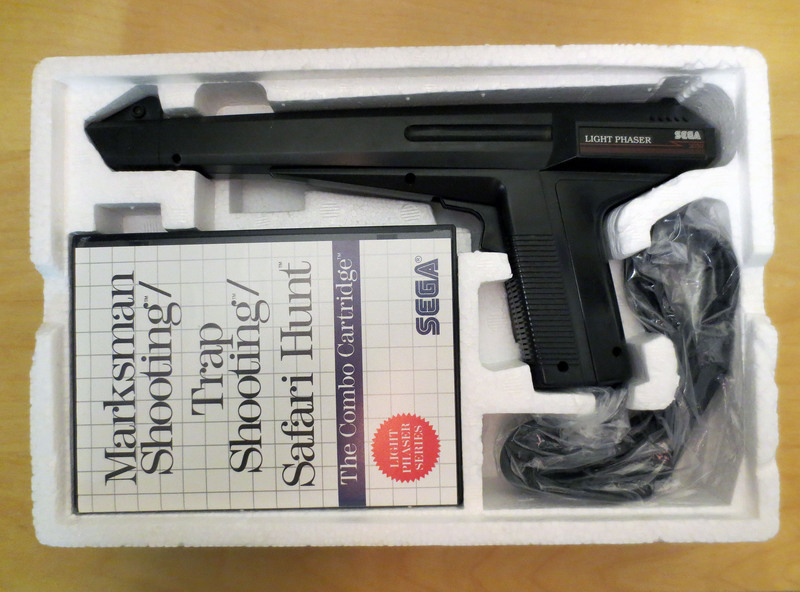 The other two boxed Sega Master Systems cost me ~$40 CAD (I think; it was decades ago) and $100 CAD for the Hang-On/Safari Hunt version. 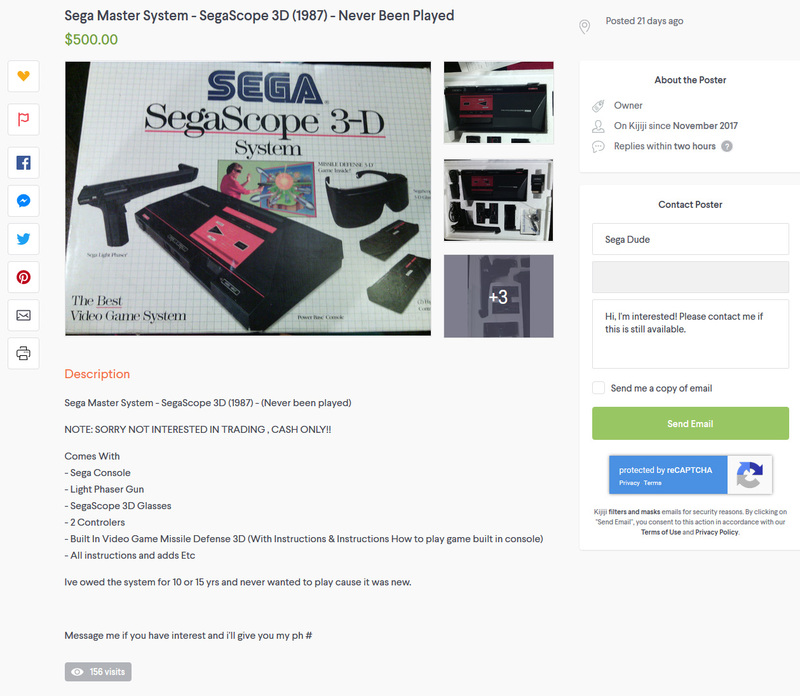 On June 2017 I purchased a nice boxed Sega Master System on my local classifieds (Kijiji.ca) for $100 CAD (~$80 USD). 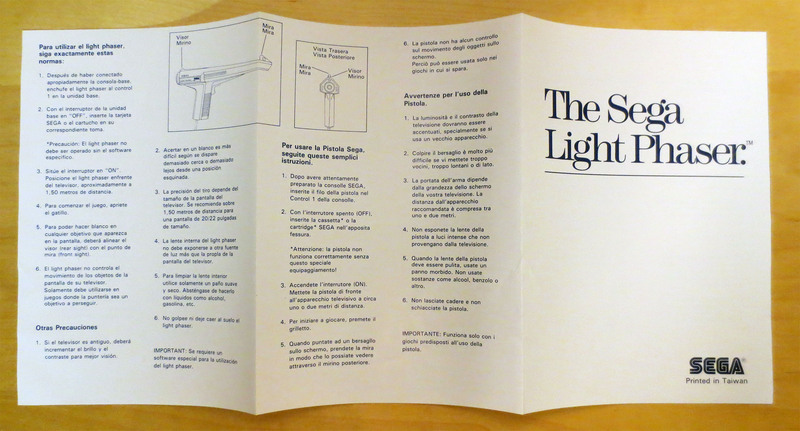 It was almost complete with just two manuals and the console power adapter missing. It didn’t take long to find the missing manuals but I was concerned that finding an original Master System power adapter could be much harder. But while searching my local online classifieds again more recently I got lucky. Not crazy lucky, just normal lucky. I found a post that said something like ‘Misc Sega Cables’. 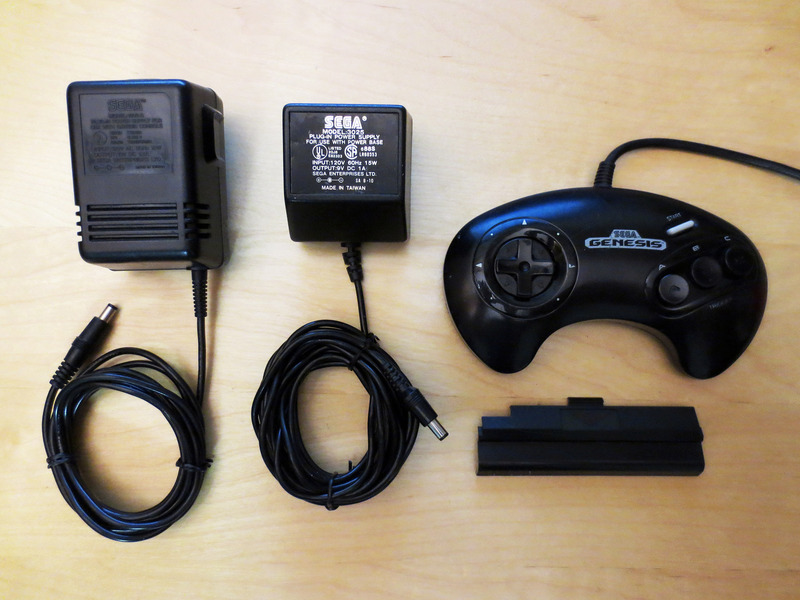 I had a closer look and I saw that this seller was offering 1 Sega Genesis Model 1 power adapter, 1 Sega Master System power adapter, 1 3-button joystick and 1 expansion port cover for a Model 1 Sega Genesis. Asking $45 CAD (~$37 USD) for all. What struck me as pretty amazing is that I had use for every item included. I have a Master System without a power cable and a Genesis which is missing it’s power cable and the expansion port cover. 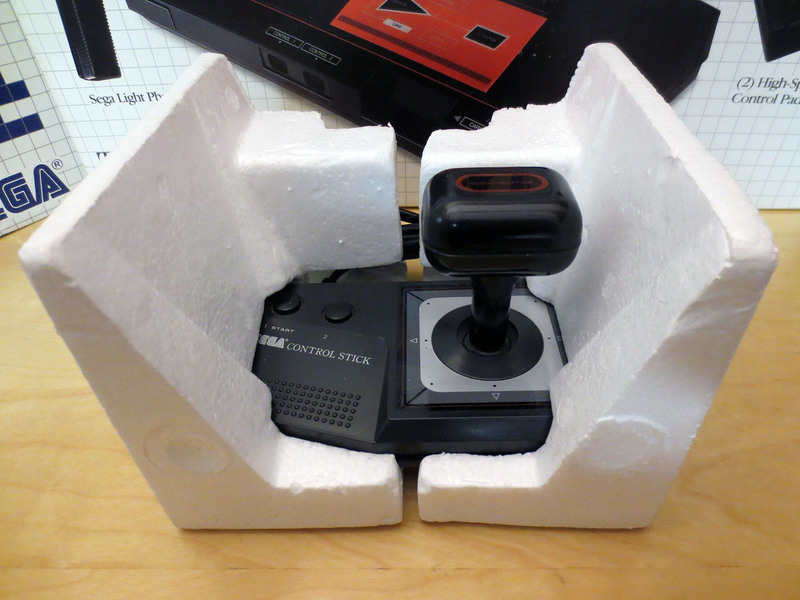 …OK, I don’t really need the joystick but you can never have too many joysticks on hand. I clicked on the sellers location with the intention of heading over as soon as I could only to discover the seller was in a neighboring province and not at all close to my home city. Looks like my search was too broad! Yeah, they look a little banged up but that is normal. I spent some time removing some thick tape residue and dirt and I was left with some pretty nice looking hardware. The joystick still has some missing details; like some of the white arrows around the Directional-Pad have been rubbed away and there are scratches that don’t show in the photo. I did test the joystick and it works very well and that’s what matters most. I was pulling of Revenge of Shinobi double jumps like a champ! I am curious to try some plastic polish and see if that might be an easy way to really clean up old joysticks and consoles. Of course I also tested the power adapters and they both work. It was gratifying putting that power cable into the box and making my 2nd Boxed Master System 100% complete! OK, technically it’s not totally complete. 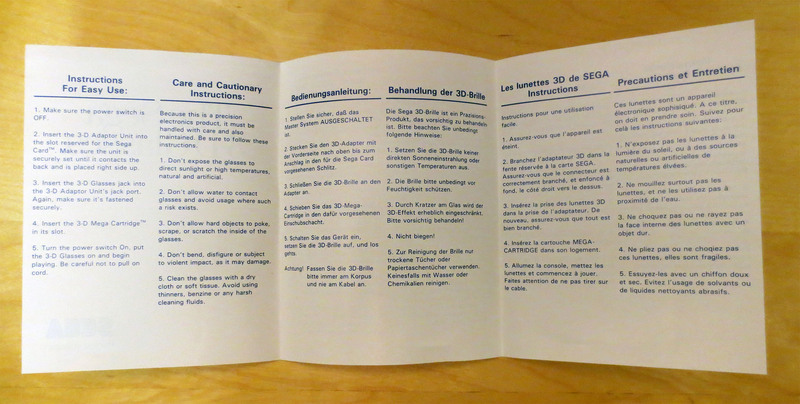 I had a peek in the manual and Sega did not skimp on video connection accessories. 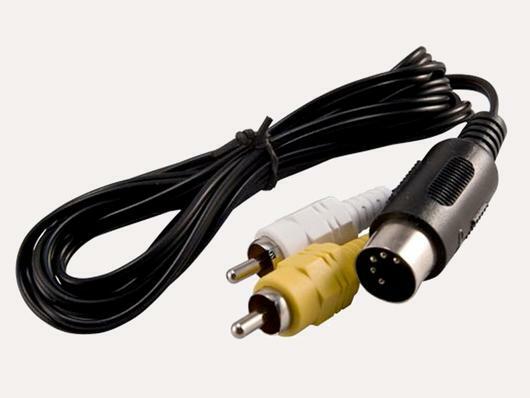 Hidden from site under HangOn & Safari Hunt (Pictured below) I do have the very common Coaxial RF Audio/Video cable but originally Sega also included a Composite Audio / Video cable, and two small adapters to help connect your Master System to your TV’s UHF connectors. Composite is not a great video standard to use but it’s beats the RF and UHF so I should find a Composite cable for the box someday. 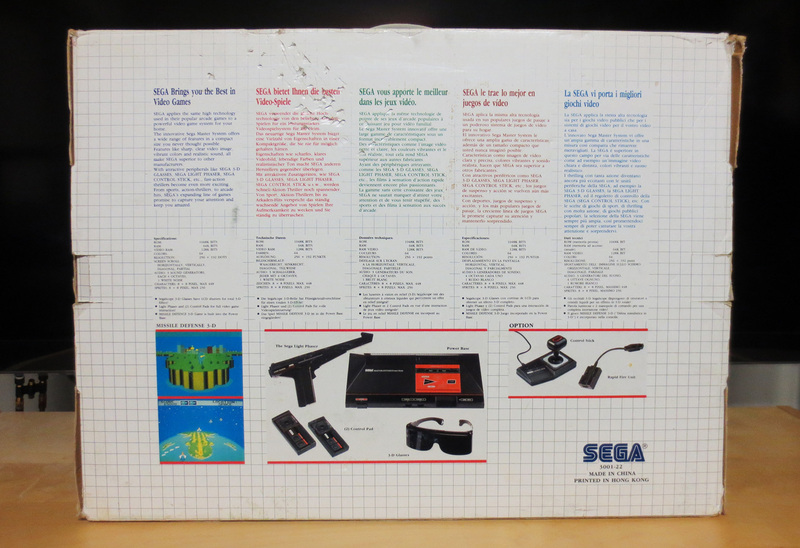 But as is, this boxed Sega Master System has everything required to connect to to a CRT (Tube) TV and play. So of the $50 CAD spent I’m going to say each power brick is worth $20, the joystick $10 and the expansion port cover nothing. 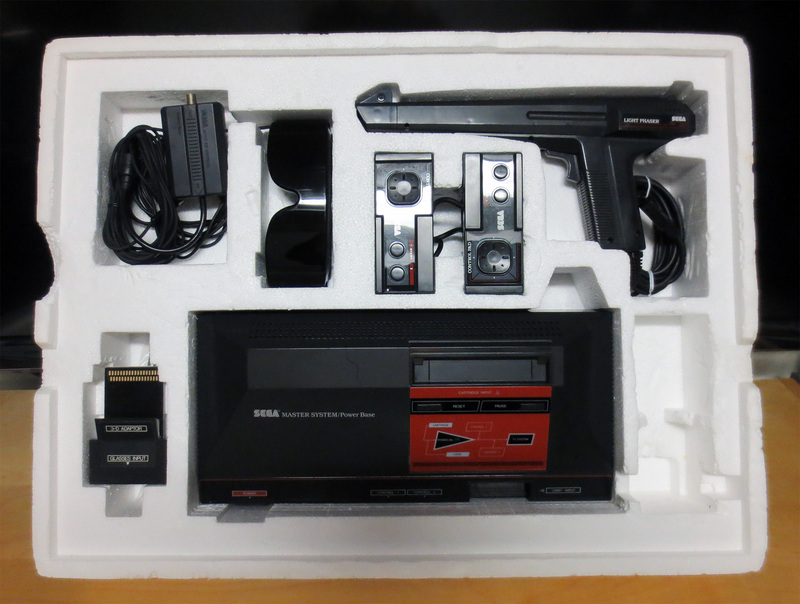 Which means I’ve put $120 CAD (~$97 USD) into this boxed Sega Master System. 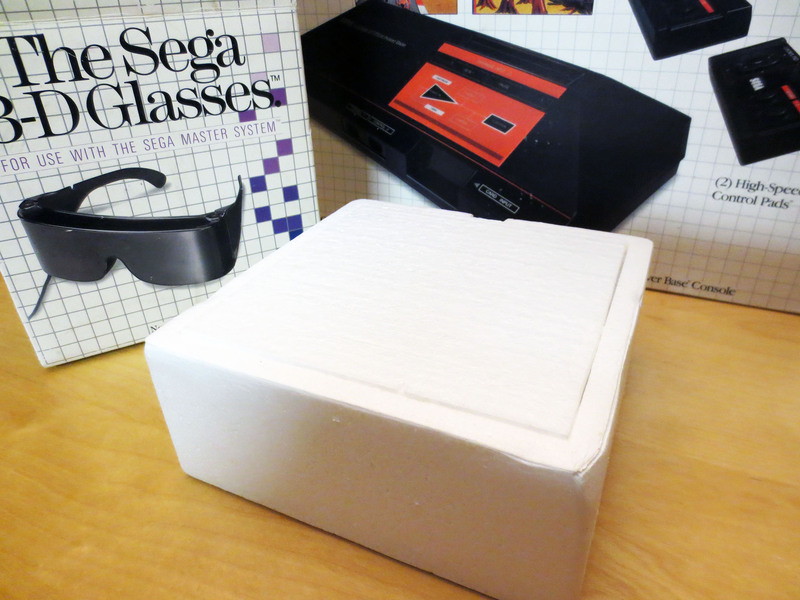 Check out my first post about this boxed SMS here for more details and pictures. I totally love that this Sega Master System power cable found it’s way home; once again nestled gently in original Styrofoam packaging. 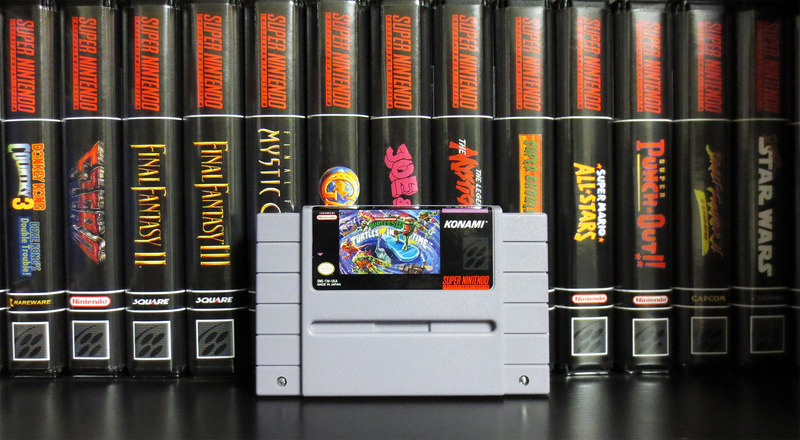 Next up, I went over to my friends house to buy a few games and to continue to chip away at the few remaining NES and SNES games that I would like to have. This buddy of mine regularly buys large lots of games, takes what he wants and sells the rest. 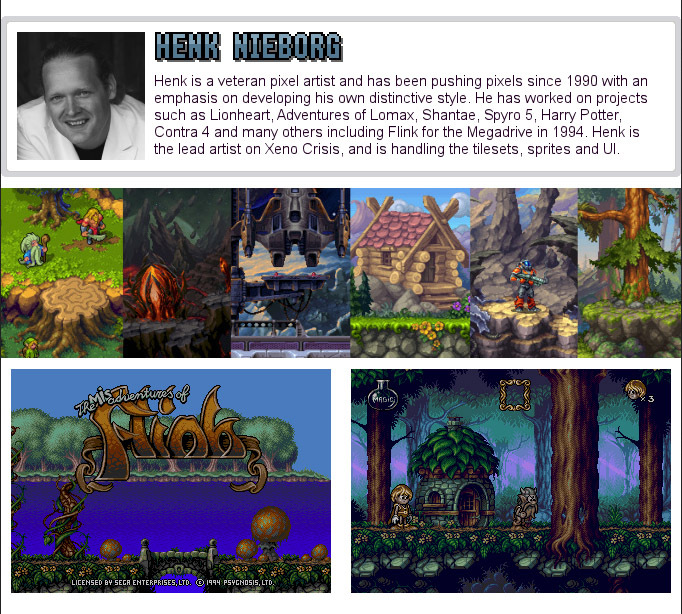 And over the years I’ve picked up quite a few games from him. 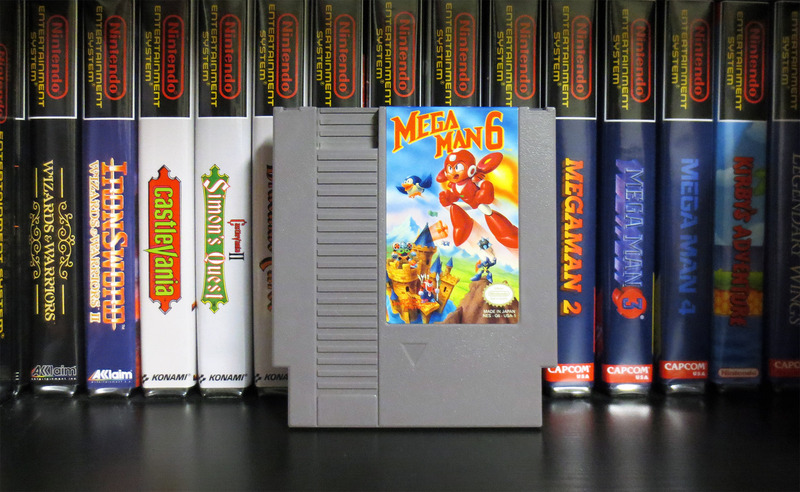 First up, is Mega Man 6 for NES. Leaving only Mega Man 1 and 5 on my hit list. I have been told that 1 & 5 are typically the most expensive Mega Man games. The only other game I scooped this time is TMNT Turtles IV Turtles in Time. I love a good brawler and Teenage Mutant Ninja Turtles are always a good time. Both Mega Man 6 and Turtles in Time cost me a total of $145 CAD (~$118 USD). Be sure to check out MyNintendoDimension for Nintendo Joe’s pick-ups. As usual he was with me on today’s adventure. Does anyone out there have any boxed retro video game consoles? At what price do you feel they’re worth while? At a very slow but steady drip our beloved Sega Genesis and Mega Drive game library is still growing. And this latest addition looks like it could be something special. 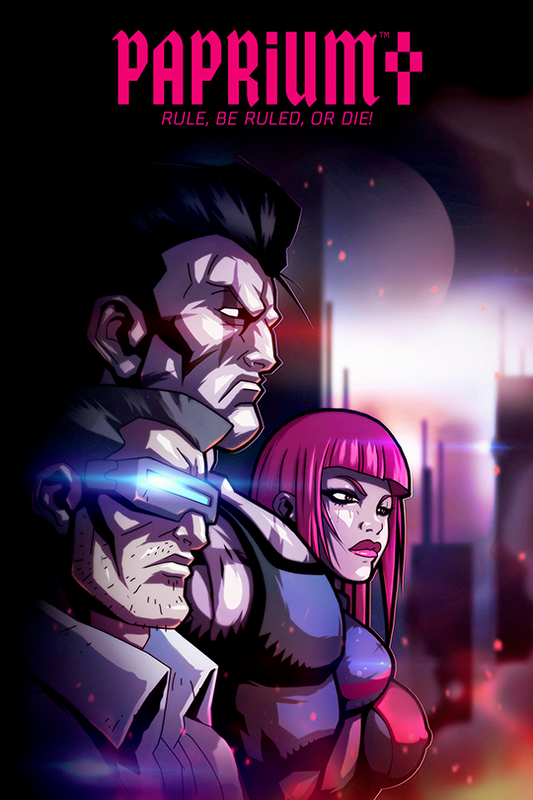 Xeno Crisis by Bitmap Bureau is a current Kickstarter campaign which was fully funded within it’s first 40 hours. But don’t you worry there is still plenty of time to get in on the action yourself. Head on over to Kickstarter right now for all the details. If you want to stick around I’ll share some of the highlights right here. The screen shot below speaks for itself. This does not look like any Homebrew game. It looks amazing. 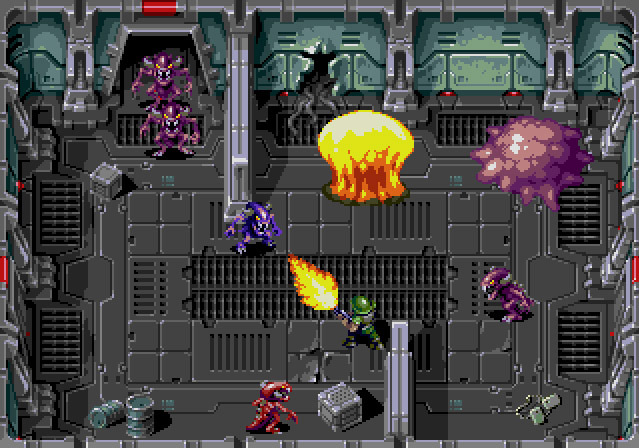 Before I knew for certain that Xeno Crisis was being built specifically for the Sega Genesis and Sega Mega Drive I thought the graphics looked too good and this must be destine for PC or modern console as another retro inspired video game. 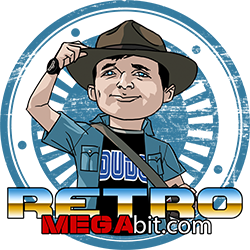 It certainly is retro inspire but it is also for certain going be on cartridge for play on your Sega Mega Drive and Sega Genesis video game console. And if that is not enough it’s getting a port for the Sega Dreamcast as well. In addition to the inevitable running and gunning (with optional two-play co-op) this game is going to throw our way it has a lot more going on. Spending ‘dog tags’ collected from the guts of fallen Xenomorphs will allow you to upgrade your Marine. This includes increasing your Marine’s base stats and extending the carrying capacity of a variety of different items. And what weapons are at your disposal? 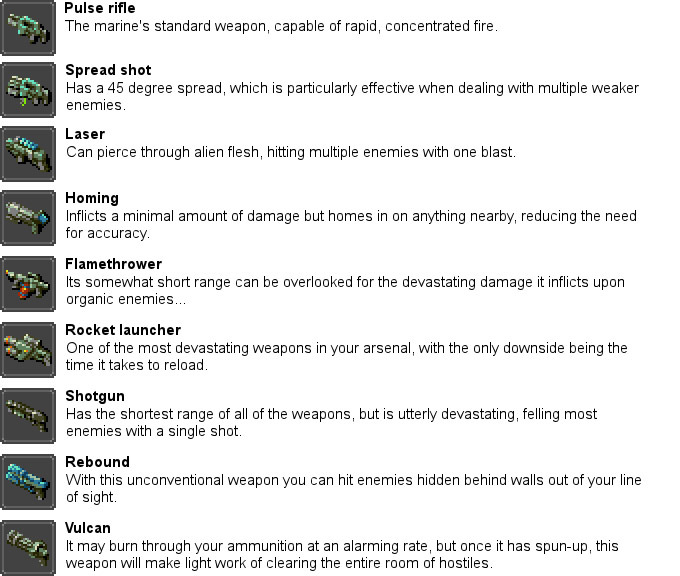 A grand total of 9 unique guns in addition to grenades. I feel this will add a lot of variety and fun to the game. I am hoping for a bit more variety in Xenomorphs. Currently there are four different types. 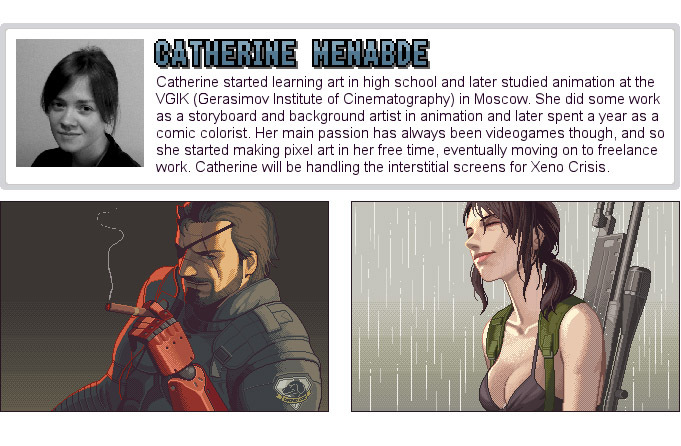 But the game is still in it’s early stages and maybe we’ll see more as development continues. 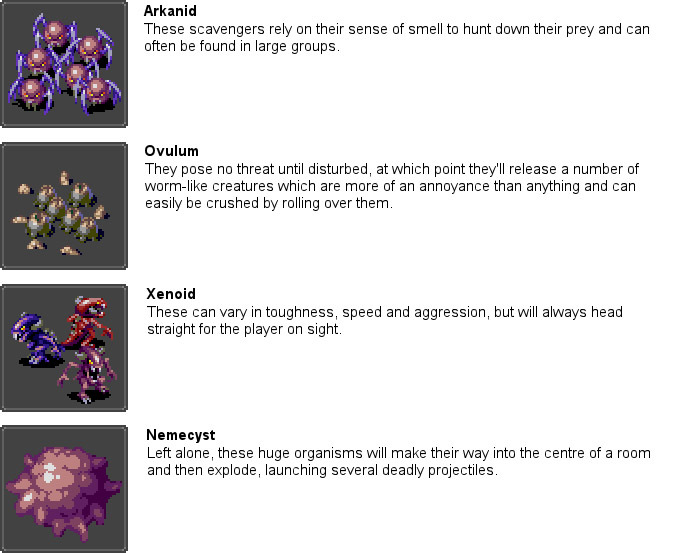 Have you been noticing how fantastic the graphics are in Xeno Crisis? Yeah, I have too. And there’s a good reason for it. Exceptionally great talent is at work here. Of course sound is also very important and it is also getting the same treatment. If all this hasn’t won you over then I have no idea how you landed on my corner of the Internet and got this deep into my post. Come on in for the big win! 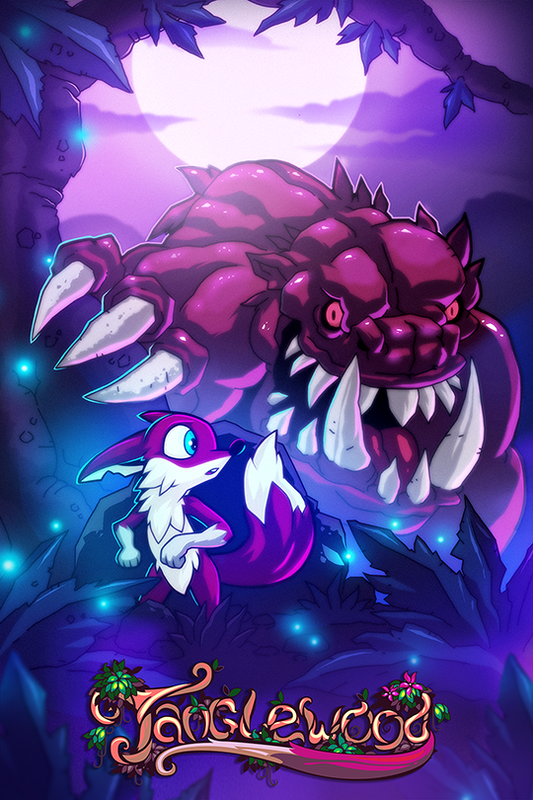 Head over to Xeno Crisis on Kickstarter and pledge for your own copy while there’s still time. When the NES Classic Edition launched in November 2016 I was super excited to get one. But I never did… stock was so limited and demand so high that the NES Classic Edition became a scalpers dream. I didn’t want to spend $200 CAD (~$157 USD) on an $80 (~$60 USD) product so I ended up empty handed. More recently the SNES Classic Edition has launched and again it entirely disappeared before many of us could find one for ourselves. And again ebay, local classifieds and game swaps were the only places to find them but at greatly inflated prices. I felt like I was going to miss out yet again on what appears to be an amazing product. My wife even waited in line at a local brick and mortar shop in the hopes of getting one of the few they just received to surprise me with but she could not. In an age of simplified shopping it’s frustrating to fail so hard. I was starting to think that Nintendo just wasn’t interested in meeting demand. I feel like the hype is more valuable to Nintendo than the money earned from these products. So I caved. And I am a bit embarrassed to say I that helped legitimize the flipping trend by participating. 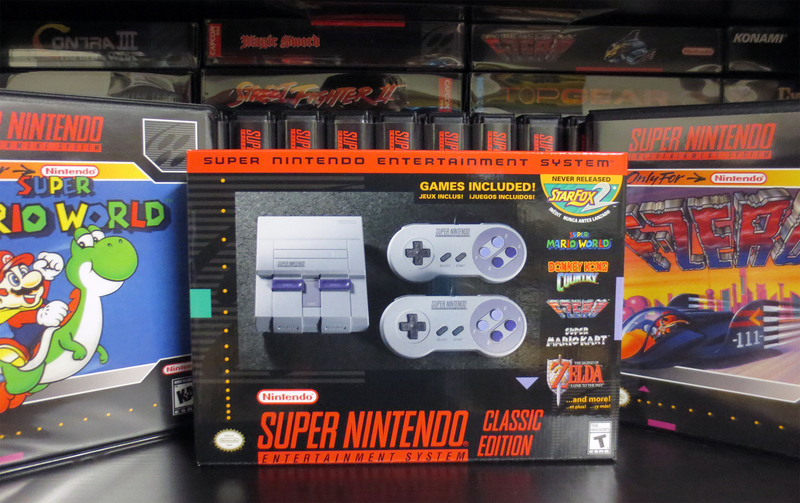 On my local classified it was very easy to find the SNES Classic Edition for between $160 and $200 CAD. They are everywhere! So I found a seller that was actually walking distance from me and selling his brand new SNES Classic Edition for $180 CAD (~$140 USD). I sent an offer of $160 (~$125 USD) and said I could pick-up right away. He agreed. We chatted for a little while and I asked how he got it. He said he pre-ordered two from Bestbuy with the intention of keeping one and selling the other. He told me the pre-orders were sold out in just minutes. In Canada the retail price for the SNES Classic Edition is $100 CAD (~$78 USD). With tax that’s a total of $113 meaning that I paid a $47 CAD (~$37 USD) premium to get one. Not terrible but I still feel a little dirty. So, how is the SNES Classic Edition? I don’t know yet. The wife has snatched it from me promising that I’ll get it back this December 25th. She finds it hard to buy for me and this year she wants to give me something that I’ll really like! *I was allowed to borrow it for the photo shoot. What’s your experience with the NES and SNES Classic Edition? Were you able to find one? Did you have to take a hit to score it? How does it look and play on your HD TV? I would love to hear from anyone who wants to share. 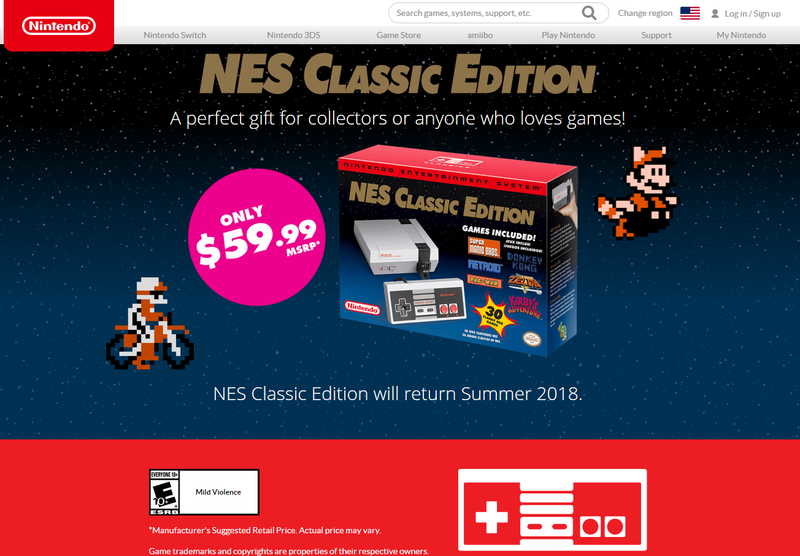 Regarding the NES Classic Edition. There is hope. Nintendo is promising new stock this coming Summer 2018. Be ready! Wow, A&C Games is really expensive. I am opening with that comment despite the fact that I did buy something from this retro video game store that I feel was over priced. Which technically implies that they priced it right… but never you mind such logic. I’m sticking to my guns. A&C Games is really expensive. I was in their neighborhood and I had time to kill so I went into A&C Games to have a look around. To their credit their inventory of retro video games is huge… but like I said; they’re expensive. 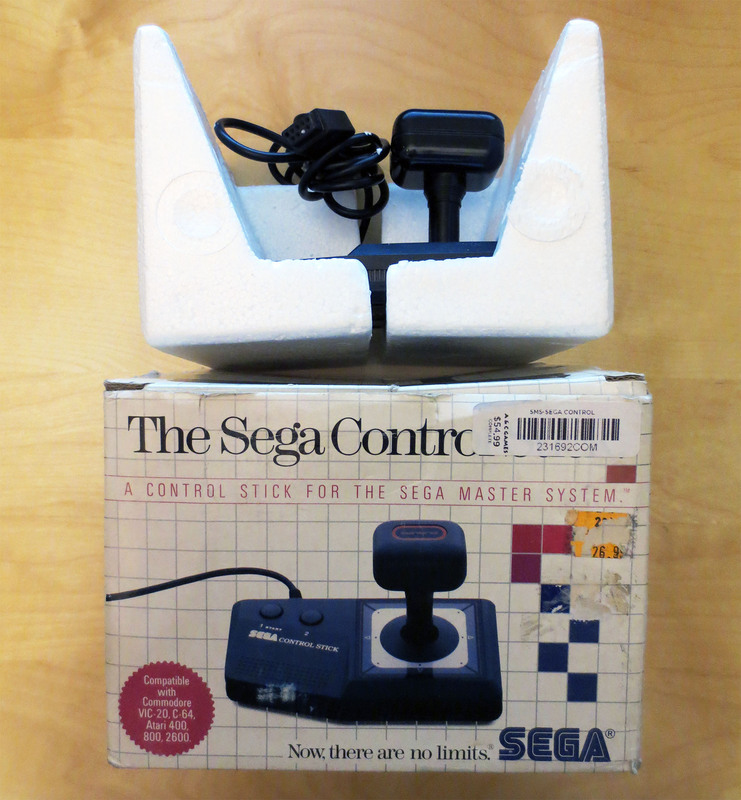 While browsing a shelf of boxed retro consoles and accessories I found a boxed Sega Control Stick for $55 CAD plus tax (no manual). 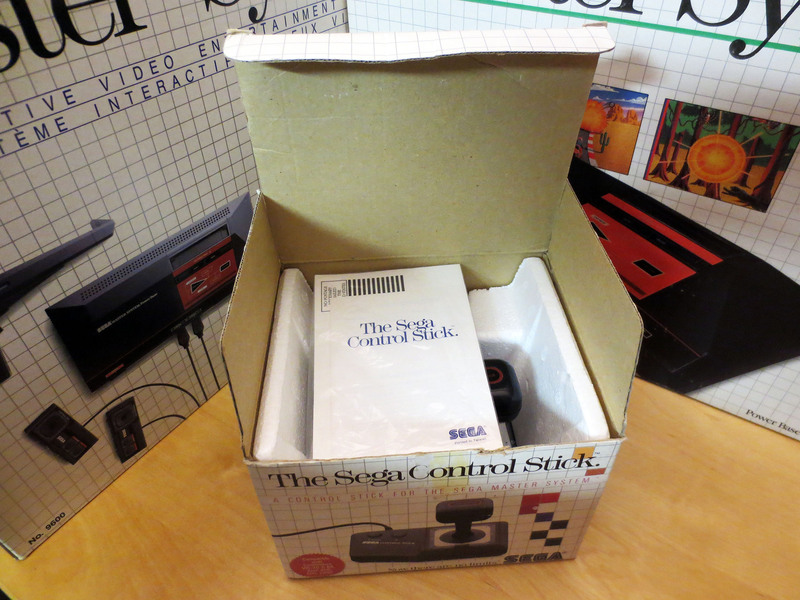 I actually have a boxed Sega Control stick but mine is missing the Styrofoam packaging from inside the box. This one from A&C Games (pictured below) still had it’s Styrofoam. I’m sure you know where I’m going with this. I spent a total of $62 CAD (~$51 USD) just to get the Styrofoam packaging. Even if I turn around and sell the spare box with the actual Control Stick for a more realistic price of $20 CAD I’ll still have spent $42 on Styrofoam. 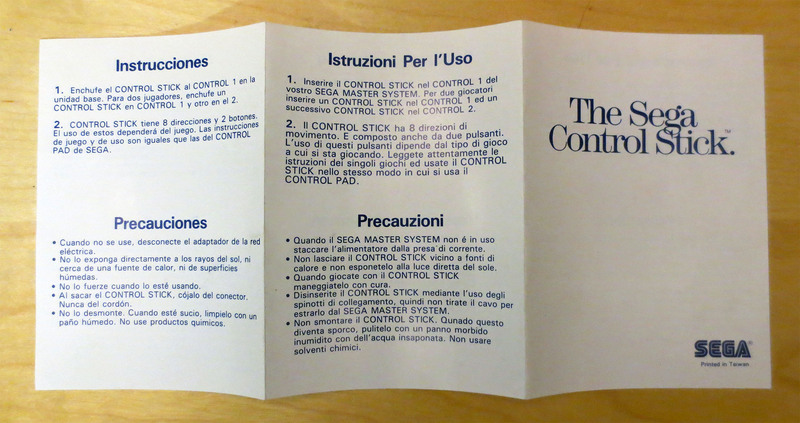 Plus whatever my original boxed Control Stick cost me all those many years ago. It’s a fair comment. Here’s how I was able to justify it to myself. I’ve been in the hobby for a long time now and from visiting local game shops and retro video game conventions over the years I know that finding something like this with any amount of it’s original packing is hard to come by. I’m also a bit of a sucker when I’ve already got something in my collection that’s not 100%; either not in good enough condition or not complete. I’ll sometimes feel compelled to go that extra mile to make that something whole whereas if I didn’t have it at all I might just be content to forget it entirely. 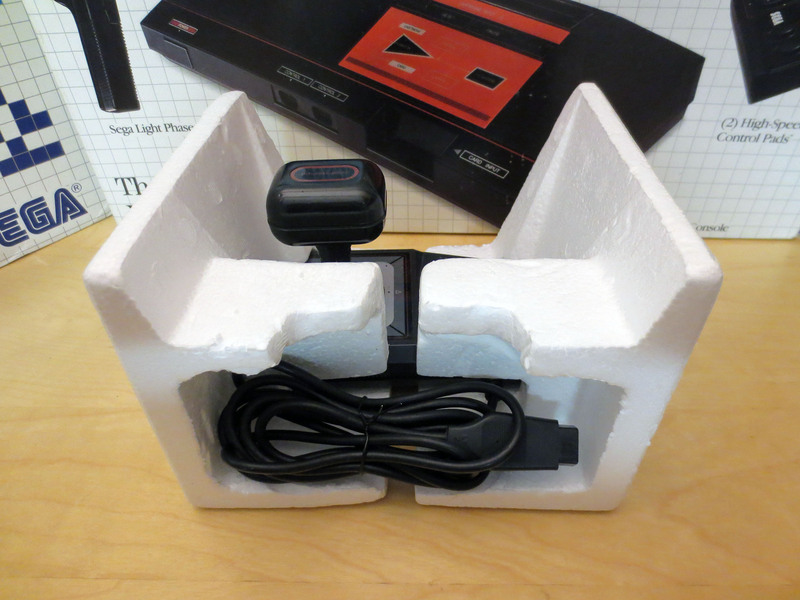 So, while leaving sound financial judgment far behind check out my now boxed and complete Sega Control Stick with it’s amazing Styrofoam packaging material! 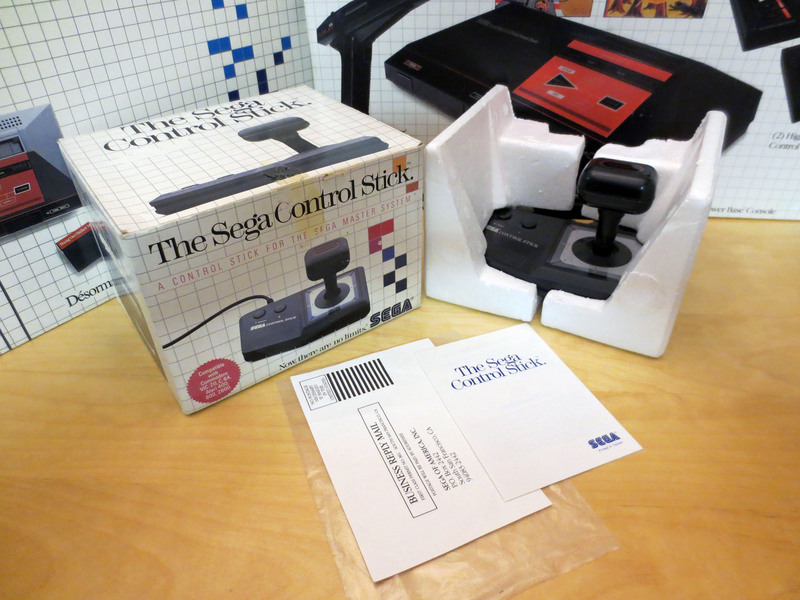 Before I try to sell my double (and slightly crunched) boxed Control Stick I went to the forums on Sega-16.com and posted it for trade. 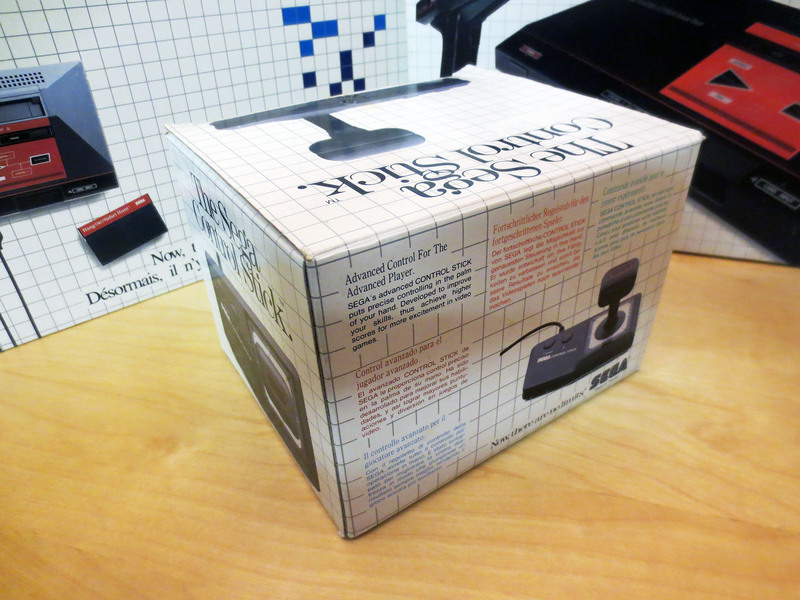 I was hoping to swap this box and joystick for an original Sega Master System Model 1 power supply. Nothing has come of this yet and if after some time no trade materializes I’m sure I’ll sell it for cash. But at the moment I’m more interested in trading. Now that I’m talking about my Sega Control Stick accessory I might as well show off my other boxed Sega peripherals and consoles. 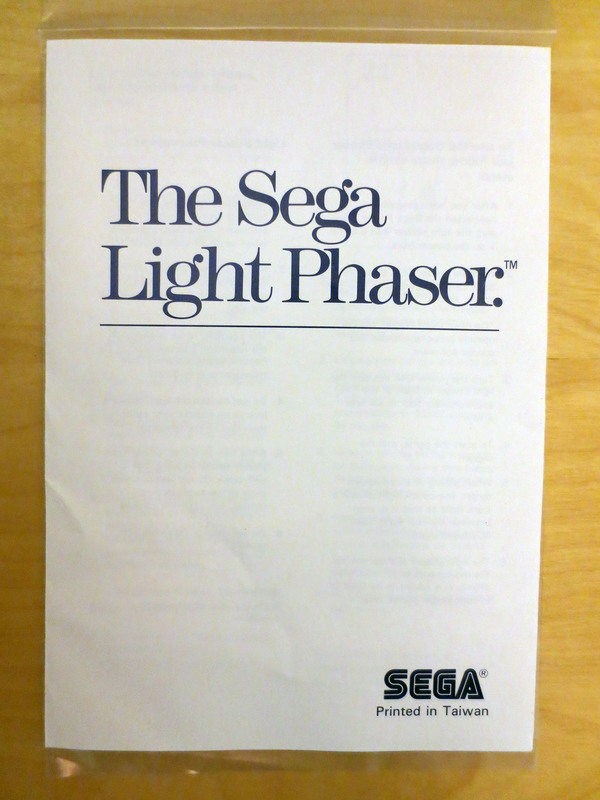 The Sega Light Phaser. 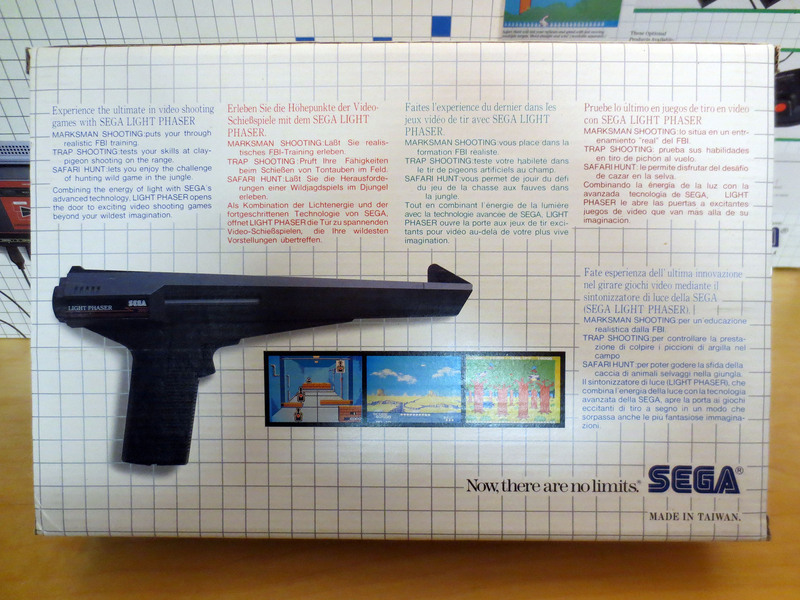 Totally cooler looking than Nintendo NES Zapper! 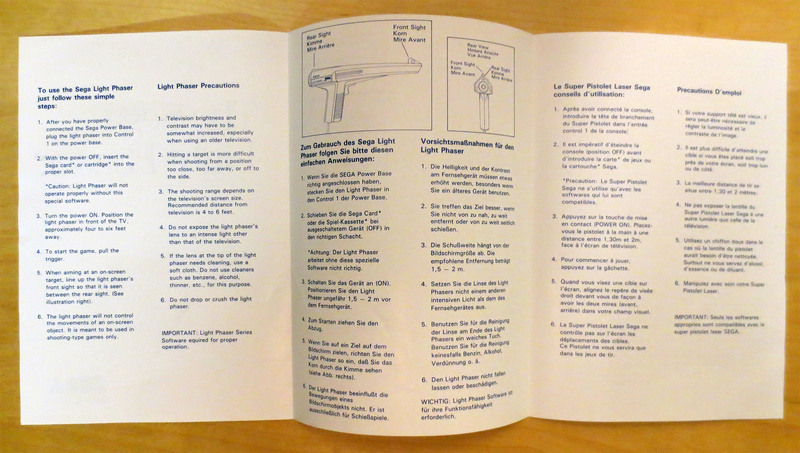 This boxed Light Phaser I purchased from ebay a very long time ago. I don’t remember what I paid but it wasn’t expensive and it’s in really great condition. 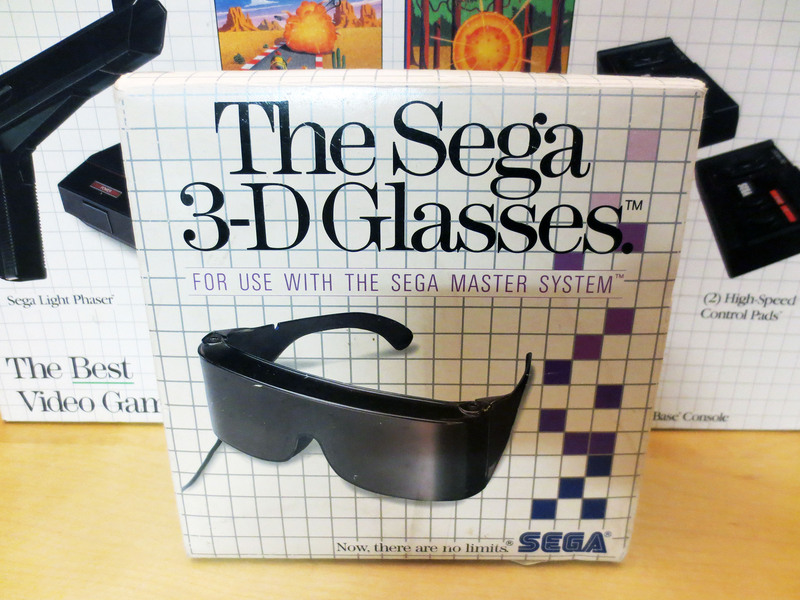 My boxed Sega 3-D Glasses were one of the first things I found when I got into collecting for the Master System. I found it in a Hock Shop for $20 CAD in 1998. And this second one being a later release. 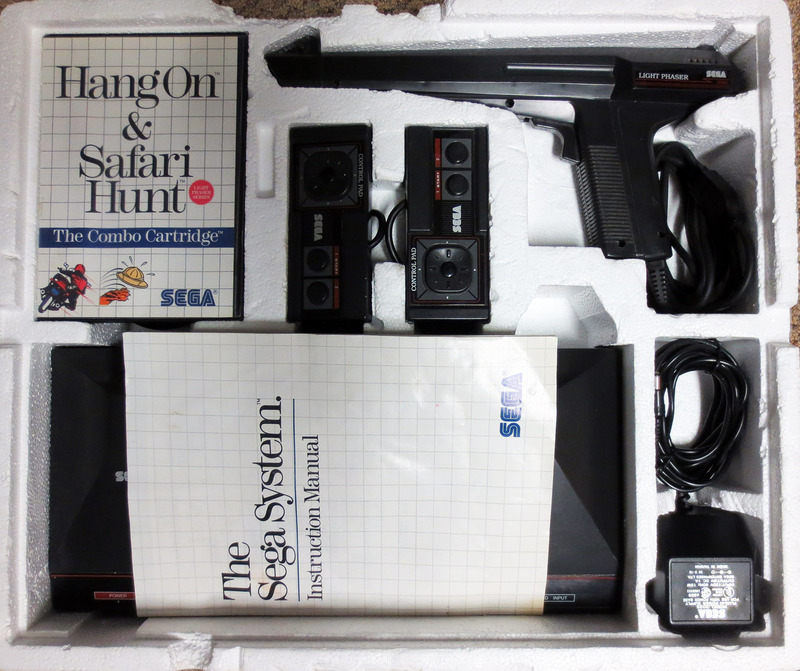 I still need a manual for the included Hang On & Safari Hunt and a power supply before this second Sega Master System is complete. There are quite a few accessories for Sega Master System such as the rapid fire unit and sport pad controller; which I have loose. And there a bunch more that I don’t have at all. The accessories pictured above are likely the most common and I don’t expect to find any others boxed and complete.